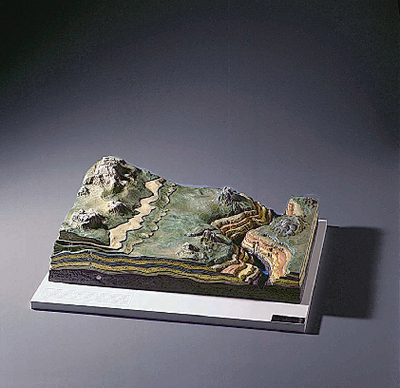 The Horizontal Strata Model features a realistic illustration of lateral stream erosion and weathering. The colorful, hand-painted resin model demonstrates changes in strata. The model shows underlying layers in cross section. The features are labeled and a key is printed on the base.